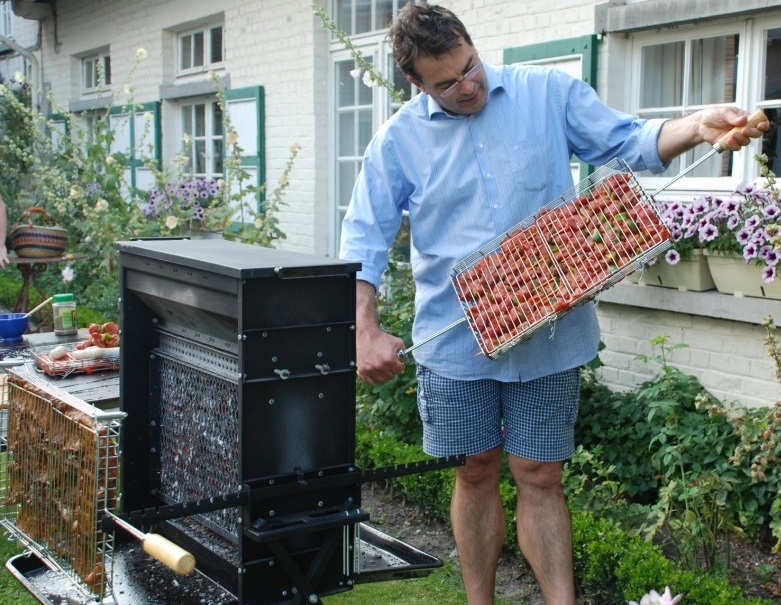 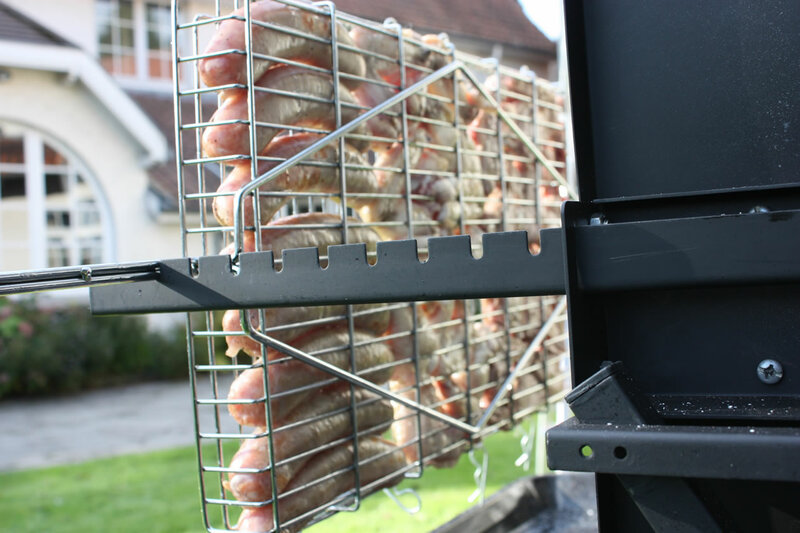 The super inventive vertical cooking basket! 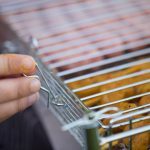 To individually turn over the food again and again on a cooking grid is fastidious and dangerous: you can easily get burnt. Nothing similar applies to the barbecue Verticook®. 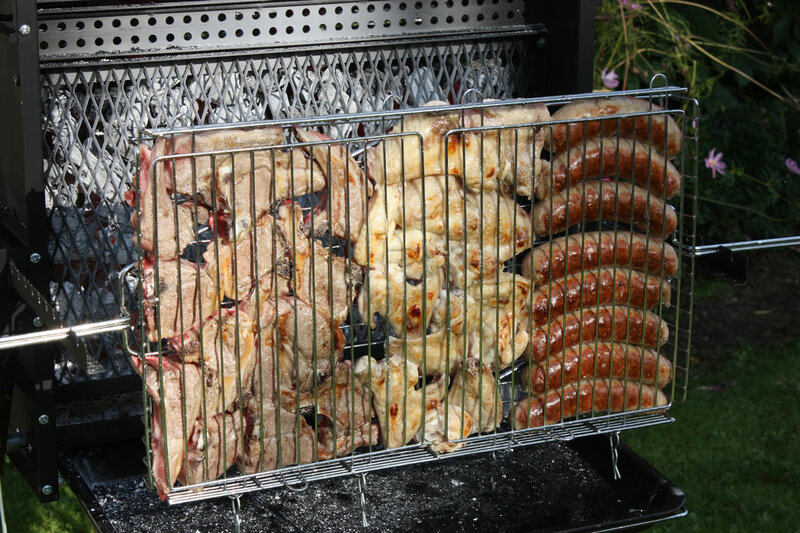 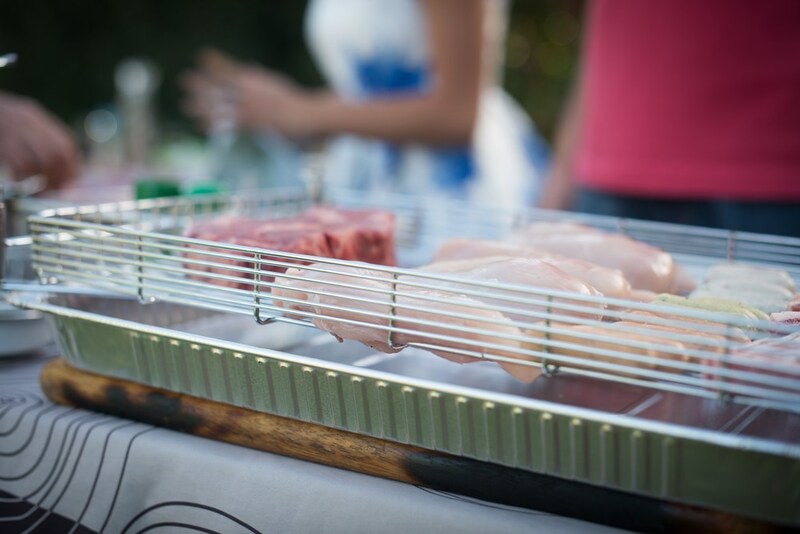 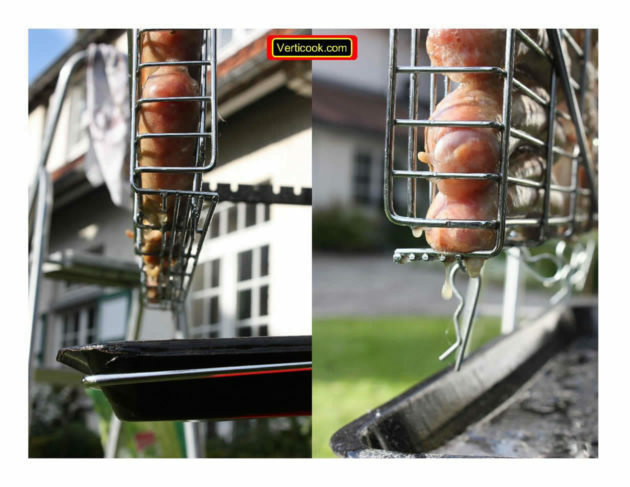 The food, placed in large cage grills (30 cm x 51 cm), can be turned over in one step. 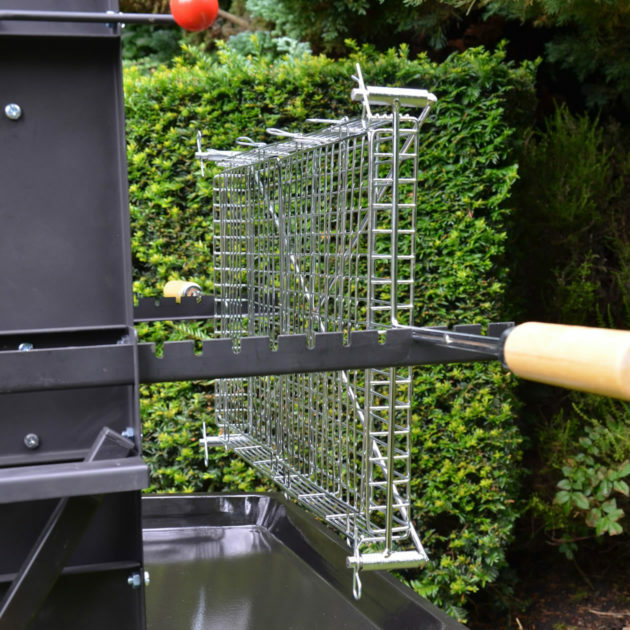 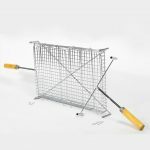 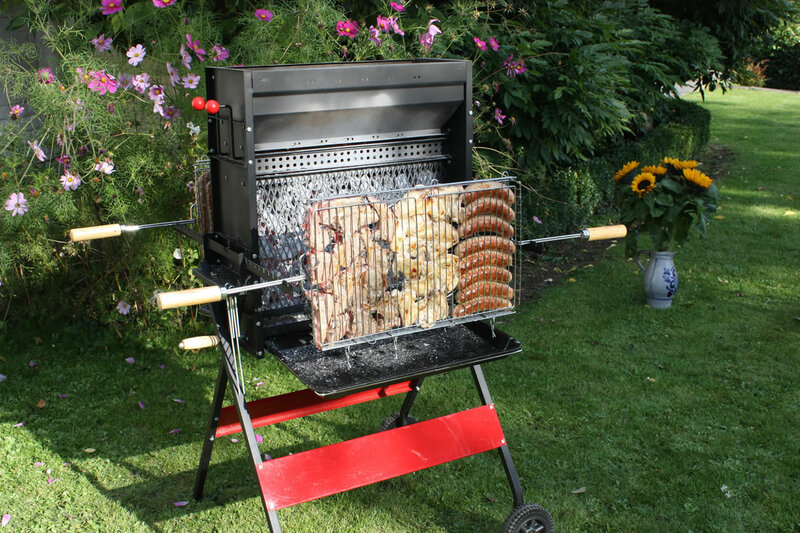 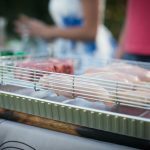 The wooden handles designed for such purpose are positioned at the ends of the cage grill shaft so as to avoid overheating. Risks of getting burnt are thus considerably reduced. The food is held tightly in the cage grill by pressing it between the bottom grid and the lid of the cage grill (refer to the cage grill drawing). 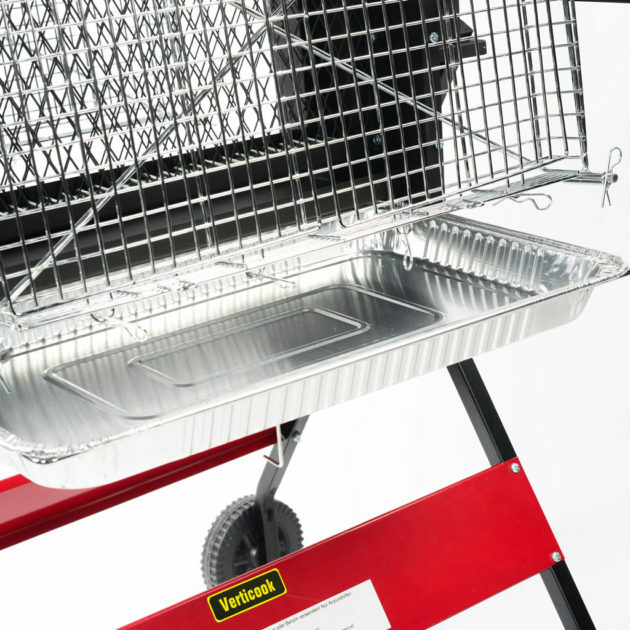 The height of each lid (2 lids per cage grill) can be adjusted on 4 positions so as to allow the cooking of food having various thicknesses (from 10 to 30 mm). 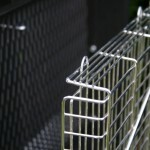 Higher lid grids can be purchased separately (thumbnail « accessories ») for allowing thicknesses up to 45 mm. 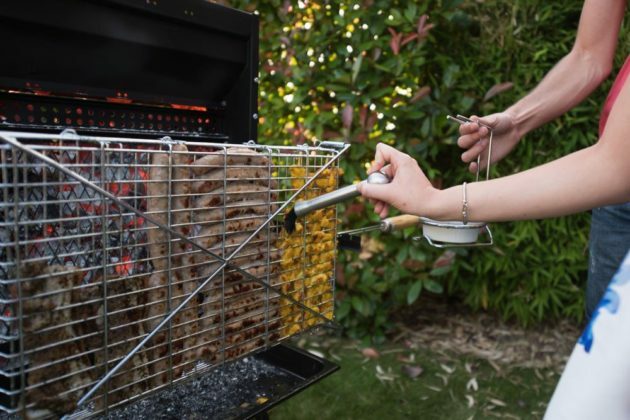 The cage grills can be dismanteled so that they can be washed in a dishwasher. 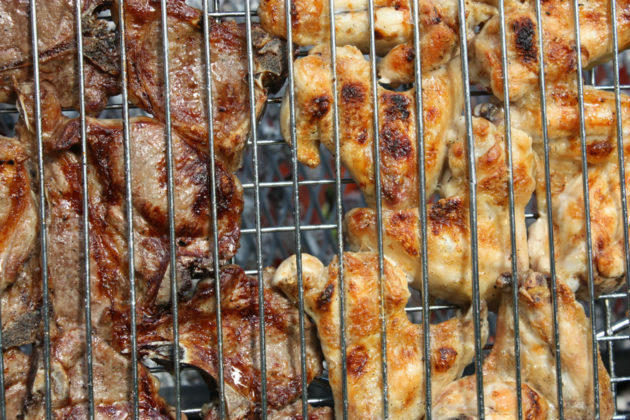 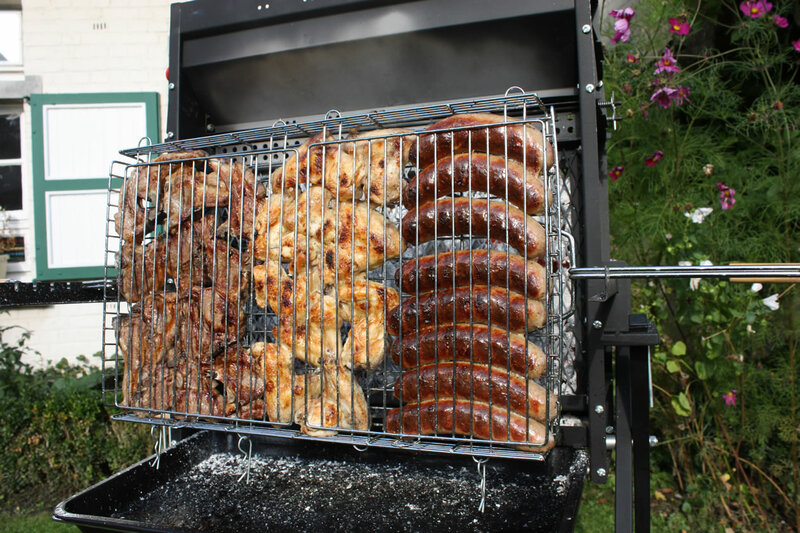 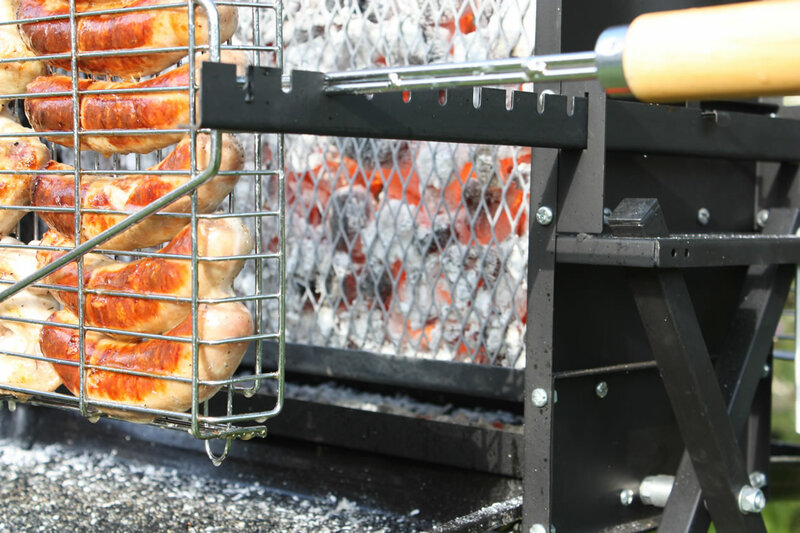 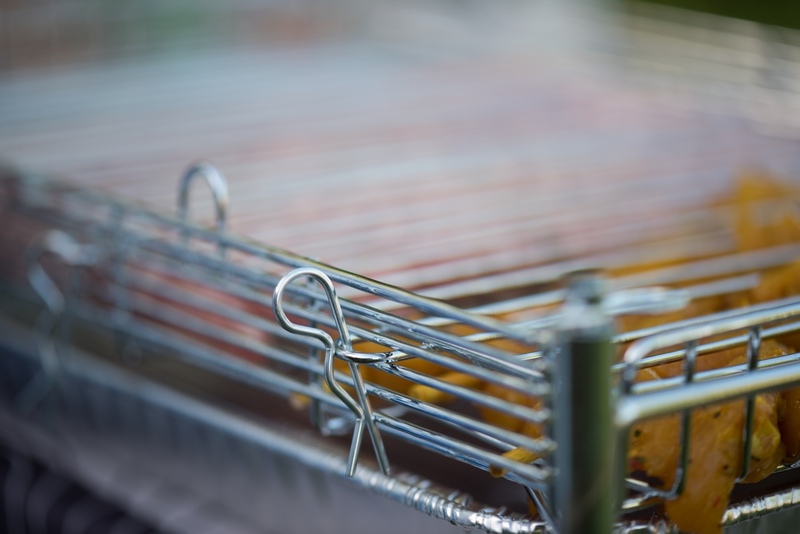 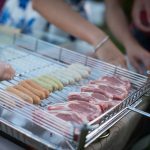 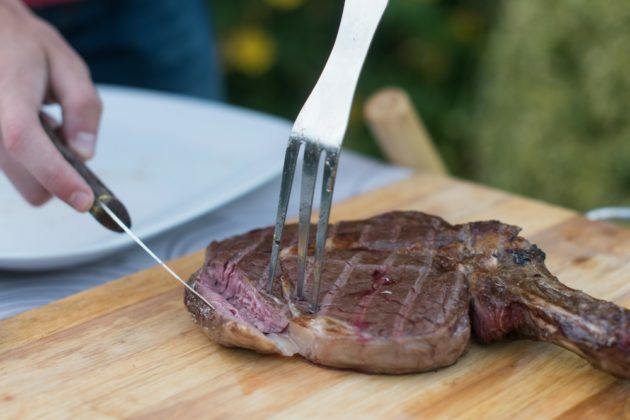 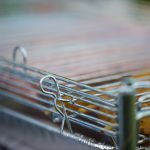 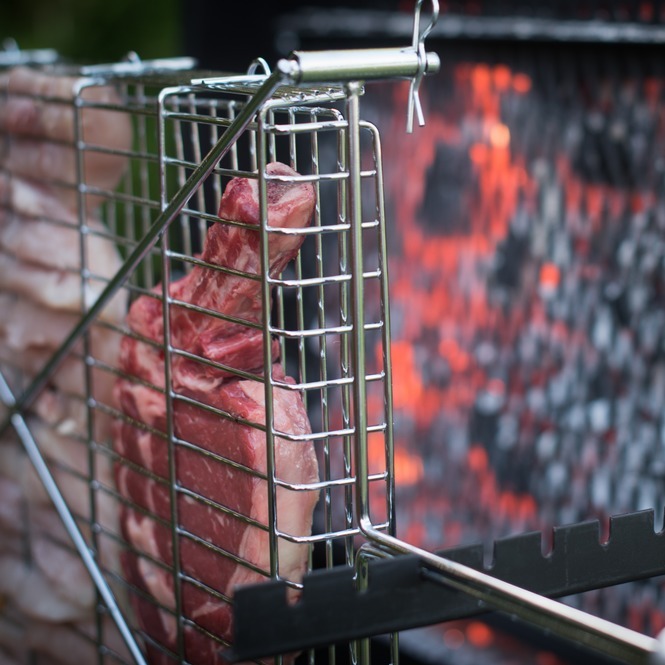 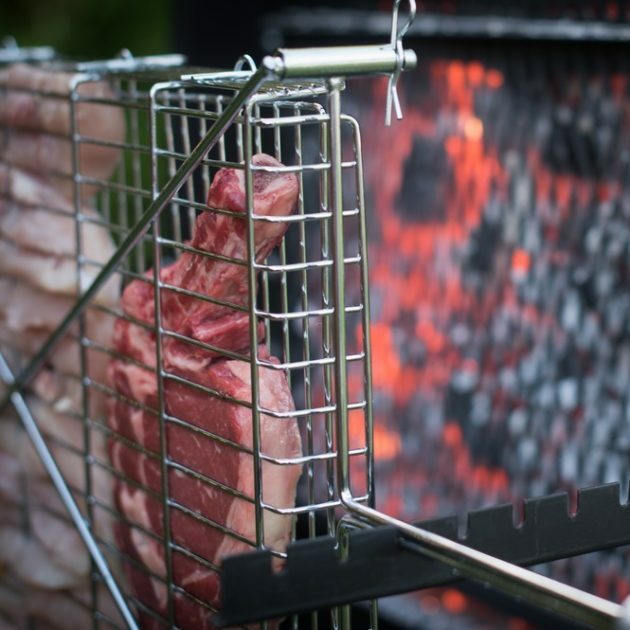 The lids are normally clasped efficiently enough by the pressure they exert (because of the food thickness) on the side rods of the cage grill. 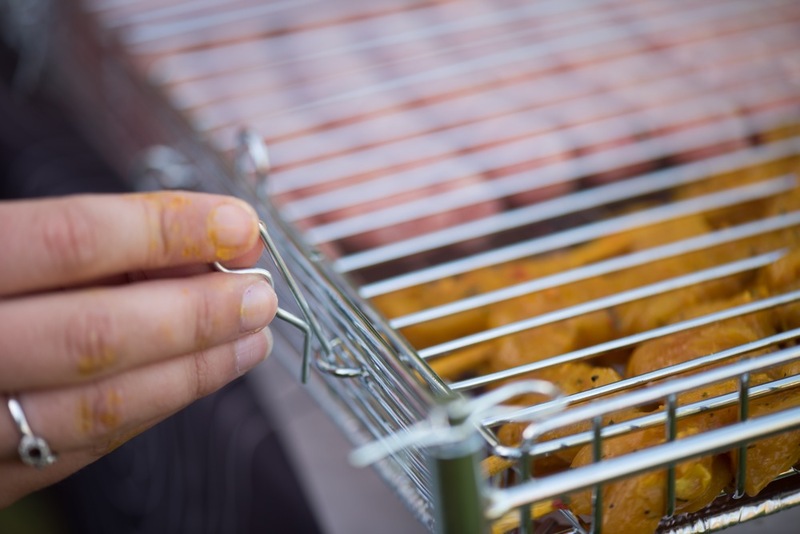 However, to ensure that the lids are securely fixed, two blocking pins are inserted at their ends. 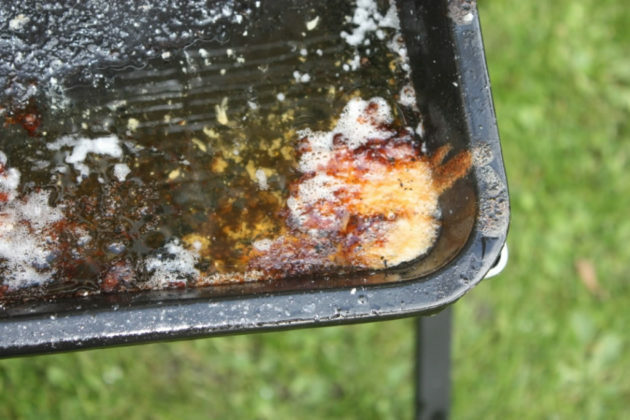 The fat is collected in large enamelled steel pans. 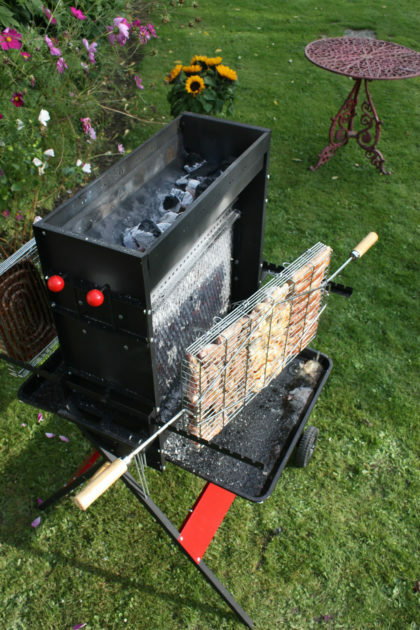 Their tilted position ensures that the fat rapidly runs away from the firebox and does not burn. 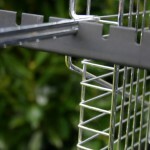 Don’t want to bother with cleaning? Caution, the cage grills must be turned over regularly! 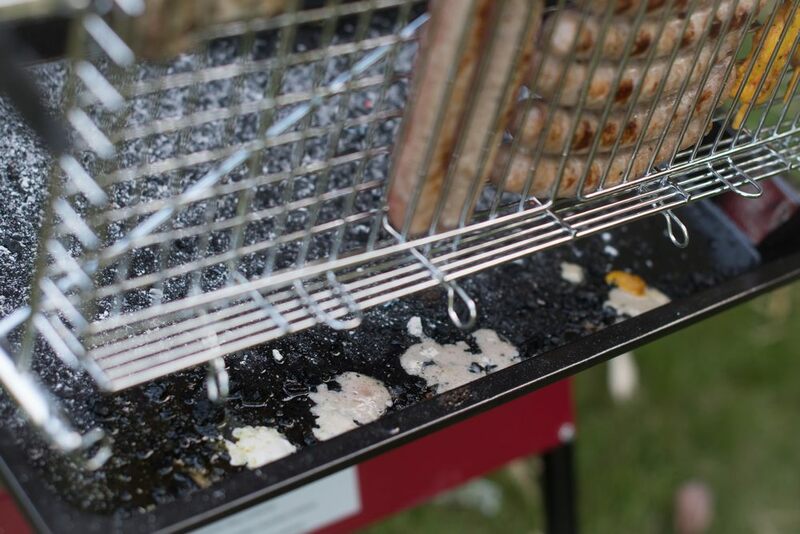 Since no liquid drips on the incandescent embers, the food can be marinated at will before cooking and basted optionally during cooking. 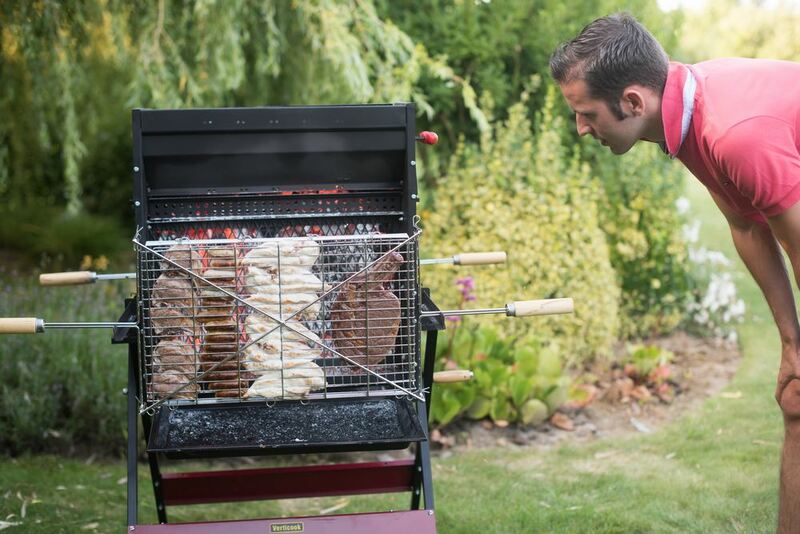 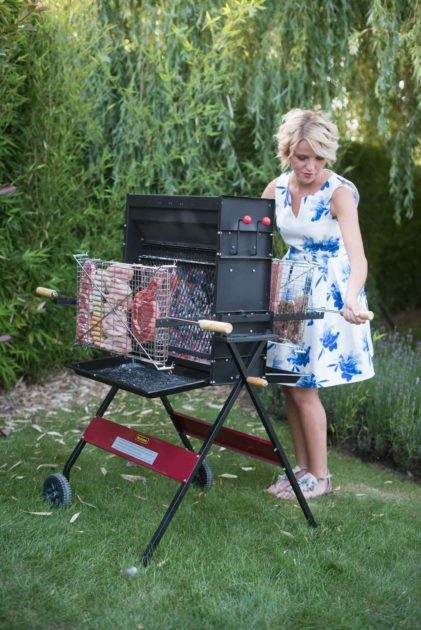 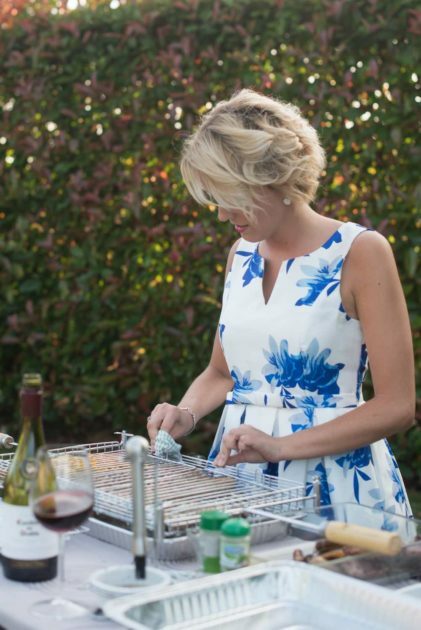 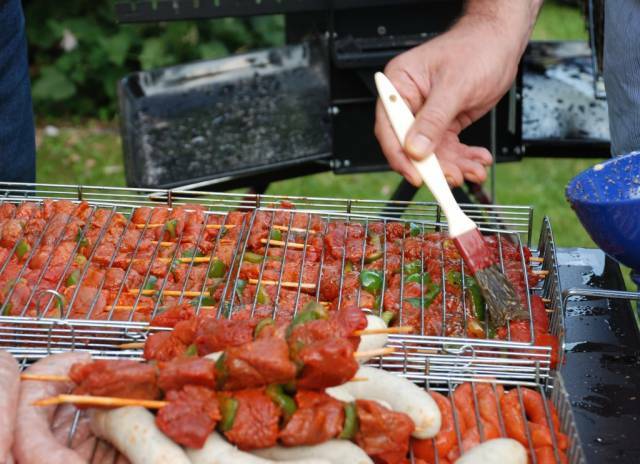 This opens up numerous new recipe possibilities which can not be envisaged for traditional barbecues. 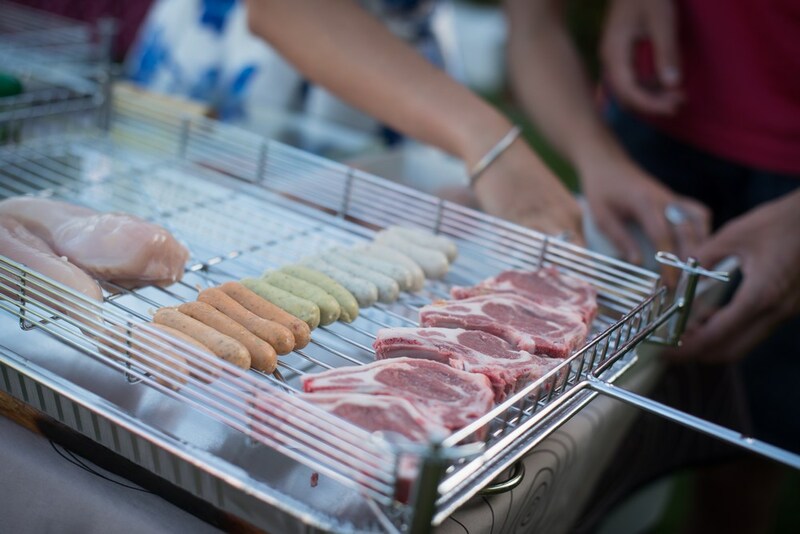 Same foods should be grouped together and aligned vertically. By doing so, the fat from one food does not drip on another and so avoids mixing flavours. A rotisserie assembly can optionally be added (see thumbnail “Accessories”).